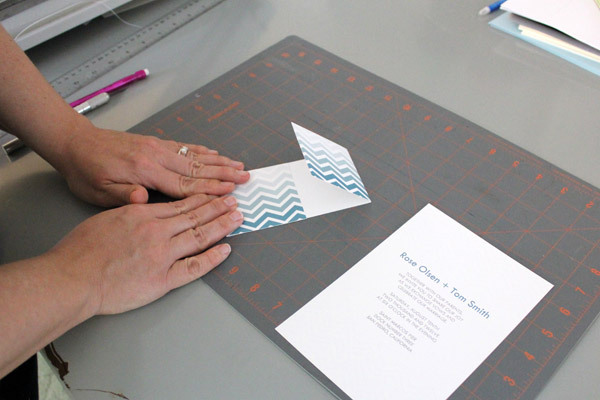 You can make this invitation at home with the free templates from Download & Print and a paper trimmer. 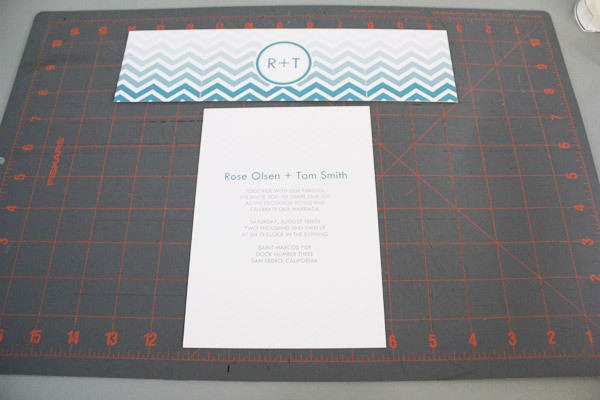 Add your invitation wording and personal monogram to the band with Microsoft Word. 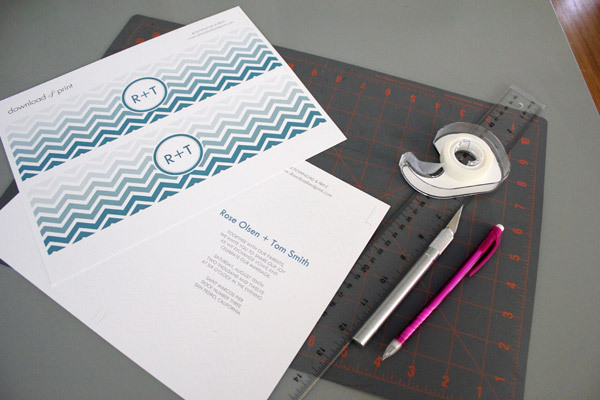 Check out the step-by-step tutorial below to learn how to make this invitation. 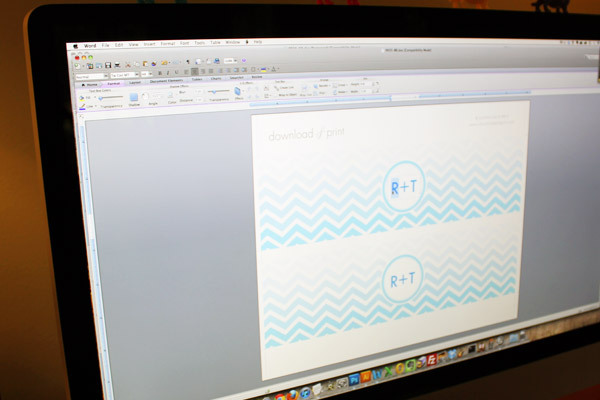 Open the template files (Download Invitation Template) and (Download Band Template) and open in Microsoft Word. Type in your wording and print on 8.5 x 11 Cardstock. 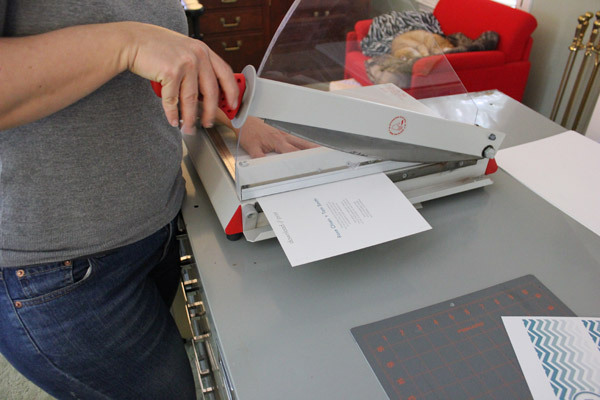 Trim the invitation card along the dotted lines with a paper cutter. This will result in two 5x7 inch invitations. 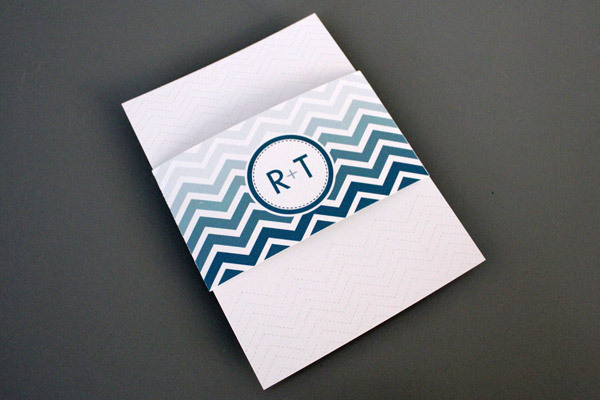 Take the printed chevron band and score the fold lines. 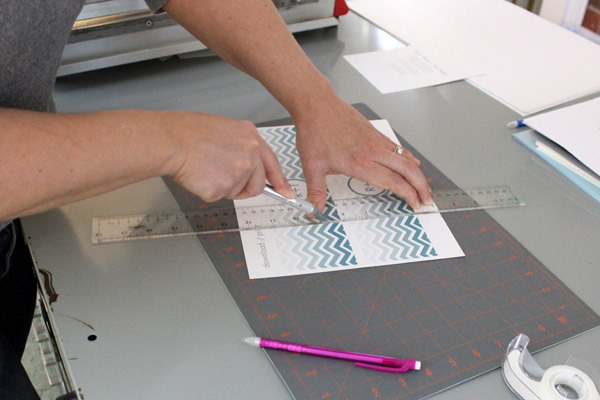 Take a ruler and x-acto knife, blade side up, to mark the fold lines. 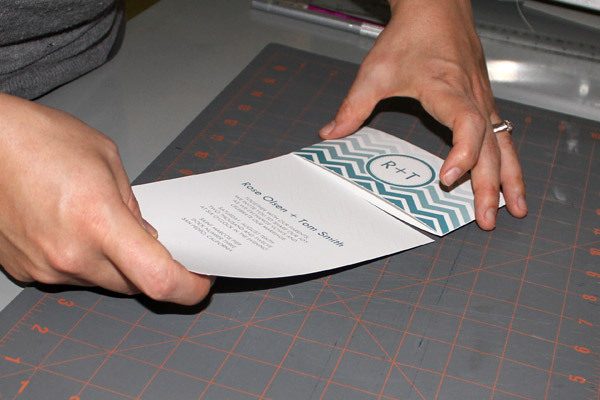 The fold lines are indicated on the printed template. This will ensure that your band fits sung with the invitation. 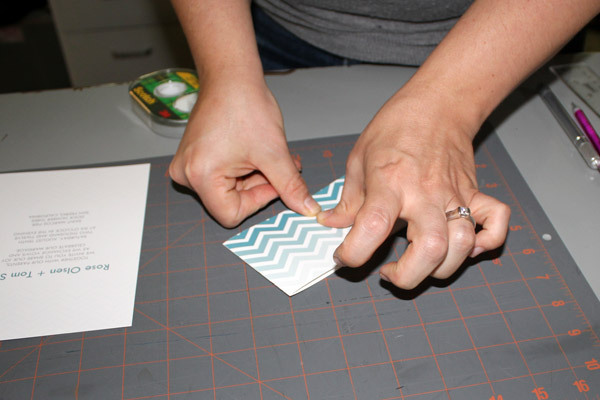 Trim the band along the dotted lines with a paper cutter. This will yield in two 3 x 10.5 inch chevrons bands. All Cutting Done! With both invitation and band cut out it's time to start assembling. 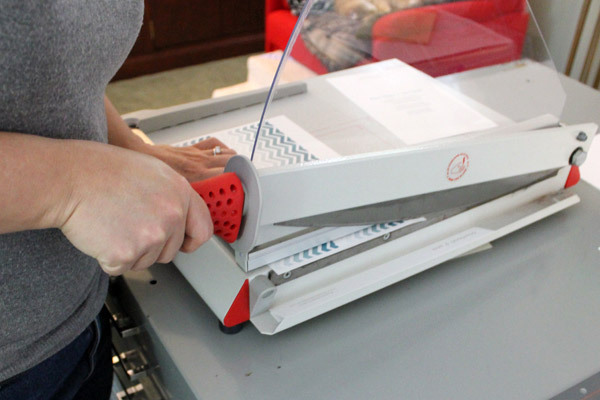 Fold the band along the score lines and press the folds with your hands. Use double sided tape to seal the band. The pieces will overlap to hide the tape and create a fished look. 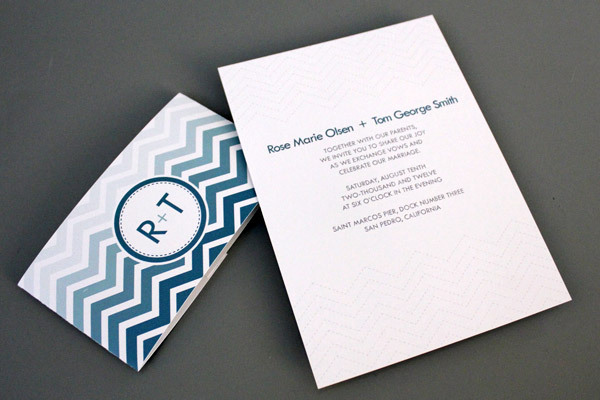 Credits: Photography by Rachel Sollee & Invitation Design by Anna Skye.